Café culture describes a social atmosphere that depends heavily upon coffee, particularly as a social lubricant. The French café culture is for people who enjoy being seen and enjoy watching. The café culture in France goes back centuries. Cafés have always been a gathering place for intellectuals to meet and discuss, for artists to compare and exchange ideas and for writers to drown their sorrows. Even the freedom fighters of the French Revolution and later the French Resistance would meet in cafés to plot their course. 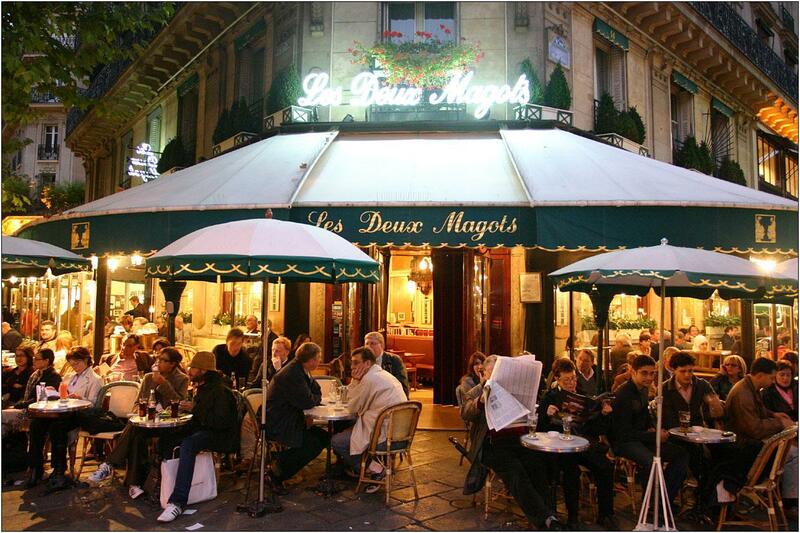 In Paris, two of the most well-known cafés sit on the corner of Boulevard Saint-Germain – Café de Flore and Les Deux Magots. Both with name plates indicating where famous cultural figures have sat such as Hemingway, Sartre and Picasso. The Café Society, developed in the 19th century as a group of “beautiful people”. Today, this culture continues to exist as you can find cafés in Paris on every street. Although all extremely different in form, locals and tourists alike continue to flock to them to soak up the unique atmosphere and sip on a small cup of coffee. In Paris you can find the highest concentration of cafés, both big and small in the Latin Quarter on the Left Bank and on Saint-Germain. Regularly, the quintessential French café has indoor seating, as well as out, with small round tables and plenty of wooden paneling and red and black decor. 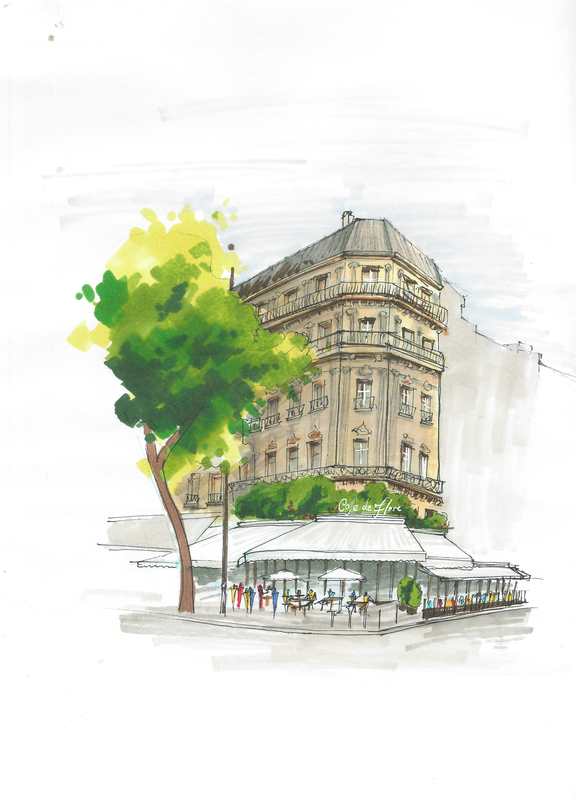 However today’s modern Parisian cafés come in all shapes and sizes. Some decorated in chrome and stainless steel but most of them remain with the traditional intimate interior and outdoor sidewalk seating. You can usually find a few cakes or sandwiches on any French café menu and many now offer a full restaurant service. The drinks however are more important than the food in the French café culture. 60% of French café goers have a preference for “café” or espresso served in a small cup. The café culture includes wine and liquor but they are always drunk with moderation and style rather than guzzled down as in a bar. The other aspects of the French café culture experience are the cigarettes. Until recently, smoking was allowed indoors and a thin cloud of smoke would be consistent with most café vibes. Now that smoking in public places is illegal, the Parisian smokers have moved outdoors and can be seen with thin cigarettes and cigars on the café patios or sidewalks. Normally there are no menus offered automatically, as the choices are quite standard. You will also get your bill with your coffee but you can wait until you are ready to go before you pay. 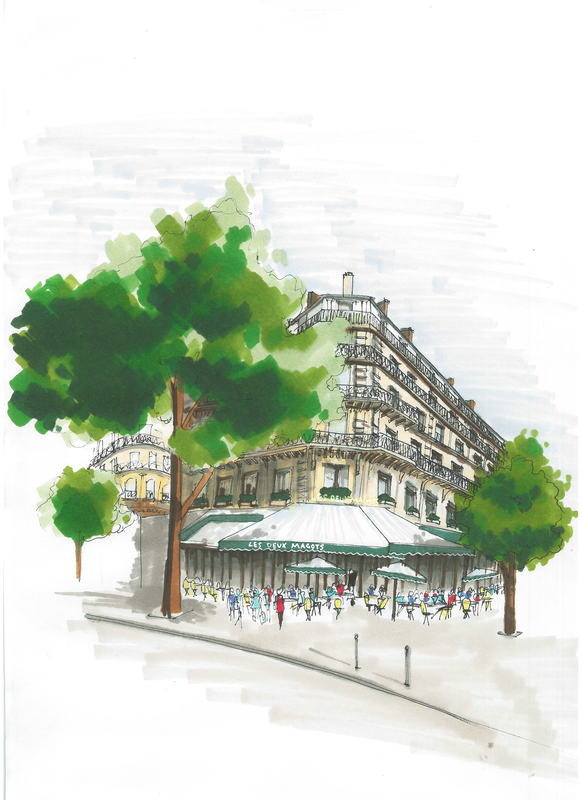 Located right across Café de Flore. Perhaps more than any other photographer, Andre Kertesz discovered and demonstrated the special aesthetic of the small camera. Kertesz had never been much interested in deliberate, analytical description. Since he had begun photographing in 1912 he had sought the revolution of the elliptical view, the unexpected detail, the ephemeral moment. He loved the play between pattern and deep space; the picture plane of his photographs is like a visual trampoline, taut and resilient. 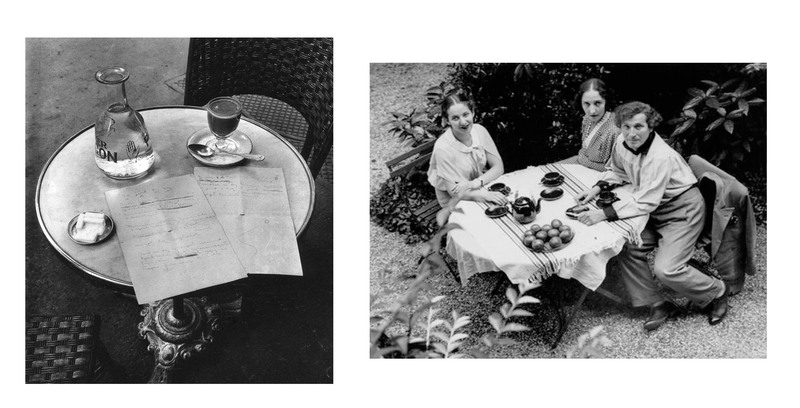 – “Andre Kertesz.” / Biography & Images. Accessed December 6, 2014.http://www.atgetphotography.com/The-Photographers/Andre-Kertesz.html. 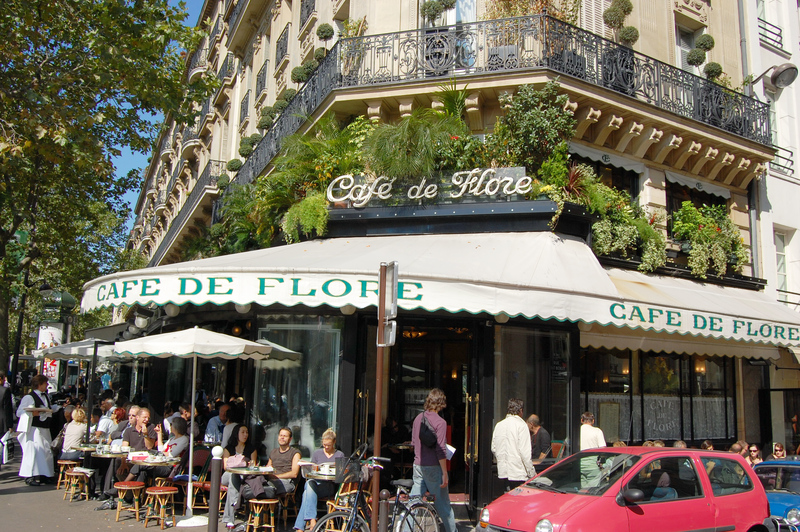 – “The Café Culture in France – Café De Flore.” Café De Flore. May 12, 2012. Accessed December 10, 2014. http://www.cafe-de-flore.com/the-cafe-culture-in-france/.